My first book will be published in just about one month! Exciting, right? Yes, and no. I chose to write this book to help shine a light on a very important topic; to help kids (and families) see that suicide and taking other’s lives is not a necessary outcome of being bullied. It was by far the toughest challenge I’ve undertaken to date. Bullying has become so pervasive in our society and something to which many have turned a blind eye. What makes me an authority on the subject, you ask? I guess you’ll have to read the book. But let me just share this. In the past week, I’ve had people (who didn’t know I’d written my book) tell me about their kids who’d been bullied. I had another adult share the emotional scars that childhood bullies gifted her. And a lovely woman, with whom I spoke last night, wrote a paper on adult bullying and why it needs to stop. I’m a systems-thinker and I look for root causes. I believe adult bullying needs to stop, but the challenge is, the bullies from the playground are now running businesses, leading churches, holding political office etc. We seem to condone bullying as a childhood rite of passage. I believe we all have the right to a bully-free passage as children, as adults, as human beings. In 1980 we determined that Sexual Harassment was not appropriate. It’s a violation of title VII of the Civil Rights Act of 1964. I’ve been told that no federal legislation has been passed to outlaw bullying because it can’t be tied back to any type of discriminatory behavior, unless it’s targeted bullying based on discrimination of a protected class. I am grateful to the 56 men who chose to sign our Declaration of Independence. And I’m grateful that the pursuit of Happiness was identified as one of our unalienable rights. And I will be grateful when other voices speak up to challenge the defensibility of bullying as a rite of passage! 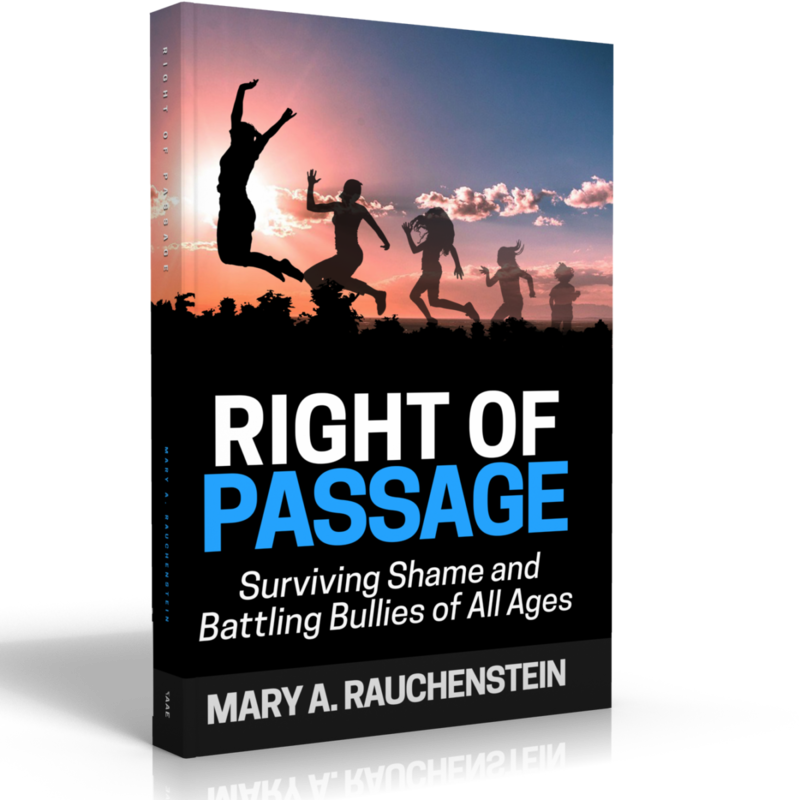 Author Mary RauchensteinPosted on August 21, 2018 Categories TrainingLeave a comment on Bullying – Rite of Passage? We’d build formidable bridges that would unite communities and withstand the winds of change. And the walk to the other side just might be enlightening! Author Mary RauchensteinPosted on January 12, 2017 August 20, 2018 Categories TrainingLeave a comment on Build any Bridges Lately? As we begin the promise of a New Year, we might benefit from a vision test. No, I’m not talking about reading an eyechart of sorts. This is a much more challenging test. 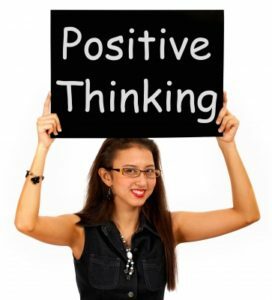 Why not make it a point this year to assume positive intentions regardless of one’s behavior. The next time someone cuts you off, don’t launch into road rage. Maybe they just received devastating news about a loved one and they are upset or on their way to the hospital (granted, they probably shouldn’t be driving). Show a little compassion and keep your middle finger on the steering wheel. When someone speaks to you from a domineering parent state or a childish state, take a deep breath and respond to them from an adult ego state. Okay, maybe you’ll need an oxygen tank for that really, really deep breath, but responding in a controlled, adult manner can change the course of a conversation. If these suggestions sound impossible to you, then consider a coach. We coaches are skilled at asking questions that can help you reframe your thinking. It’s not that your thinking is wrong, it may be causing you to be rigid and unable to adapt to other situations. Rigid thinking may keep you from truly understanding others’ intentions and fro Rigid thinking may keep you from truly understanding others intentions and from experiencing true happiness. Give yourself (and others) the gift of a vision check! You might fall in love with some new lenses! Author Mary RauchensteinPosted on January 2, 2017 Categories TrainingLeave a comment on How’s Your Vision? -Be mindful that wisdom doesn’t not become arrogance. -Allow yourself to embrace discipline and choose not to morph into rigidity. -Humility is admirable, martyrdom is not. -If you are a strong leader, be inspirational, not a bully! And finally, if you are kind, compassionate and caring, please don’t ever re-gift these!! They are rare indeed. 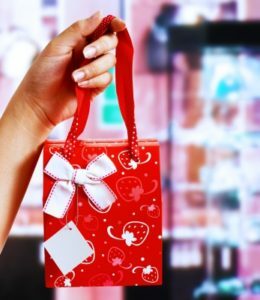 Here’s to using your gifts in the way they were intended – when they were first gifted to you! If you believe as John Maxwell proposes, that leadership is influence, nothing more and nothing less, then we’d have to say that there have been some pretty successful leaders in our day, some of whom have done some pretty horrific things. I agree that leadership is largely indicative of how we choose to influence. Simon Sinek tells us that we influence either through manipulation or inspiration. Manipulation sounds bad, doesn’t it? Manipulation can run the gamut from direct force and threats, to even collaboration. And there’s a lot of in-between. The leaders that I’ve admired passed one major litmus test. I would choose to follow them by choice. Not because I needed a paycheck and not because I needed benefits. I would follow them because they had a vision that they clearly articulated and they were passionate about it. They were also people of integrity so I wanted to follow them, to be part of their team. There were truly inspirational. And I can count the number of these highly inspirational leaders using just one hand. Manipulative leaders often get great results, but at what cost? Do we need to be reminded of the dismal engagement numbers reported by the Gallup organization? I feel like I’ve relieved the fairytale, “The Emperor’s New Clothes” dozens of times in my life. Just recently, I saw a leader who was lauded for all the great things that he/she said. Yet speak to some who’ve left this organization. It’s a grueling “my way or the highway” culture that really doesn’t value people. They value results. If you don’t get results – you’re gone, that simple. Manipulation is the chosen method of influence. I grew up in operations and held line leadership positions. I understand the importance of the top and bottom lines on a P&L and the accountability that accompanies that responsibility. However, I spent a number of years in HR leadership positions and believe me when I tell you that people should be the main thing in your business. If you treat them well and invest in them, the top line and bottom line will fall in line! And that’s inspirational! Author Mary RauchensteinPosted on September 20, 2016 September 20, 2016 Categories TrainingLeave a comment on Manipulation or Inspiration – It’s Your Choice!